In this March 13, 2009, file photo, Zalmay Khalilzad, special adviser on reconciliation, speaks during a news conference in Kabul, Afghanistan. Abdul Ghani Baradar, a co-founder of the Taliban has been appointed head of the group’s political office in Qatar as it holds negotiations with the United States over ending the 17-year-old Afghan war, a Taliban spokesman said Friday, Jan. 25, 2019. He remained in the custody of Pakistan for eight years and was freed in October 2018 on request from the U.S. envoy Khalilzad, who has been tasked by the administration of President Donald Trump since September to find a negotiated conclusion to conflict, which would end the U.S.'s longest military engagement in Afghanistan. The U.S. peace envoy to Afghanistan said Saturday that "significant progress" was made during lengthy talks with the Taliban in Qatar and that he was traveling to Afghanistan for more discussions aimed at ending the country's destructive 17-year war. Zalmay Khalilzad said on his official Twitter account that he wants to build on six days of meetings in Doha, the capital of Qatar. 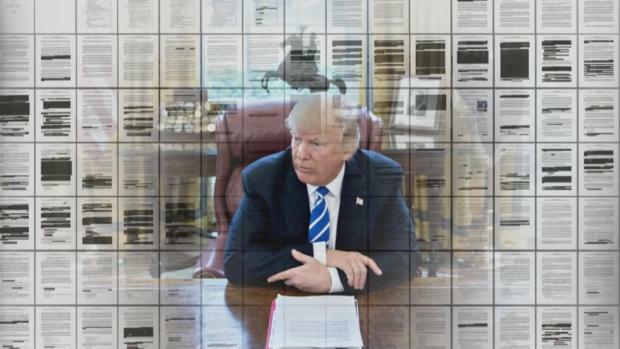 "Meetings here were more productive than they have been in the past," he said without providing details. "We made significant progress on vital issues." Taliban officials who spoke on condition of anonymity because they were not authorized to speak to the media said they have reached an understanding on the withdrawal of U.S. and NATO troops and that Afghan soil will not be used for attacks or threats against the U.S. or other countries. American Caitlan Coleman, her Canadian husband Joshua Boyle and their three children have been released by a Taliban-linked group after being held captive for five years. The couple was captured while hiking near Kabul, Afghanistan in 2012 and held by the Haqqani network. Coleman was pregnant at the time and gave birth to three children while in captivity. It wasn't clear whether Khalilzad is seeking written guarantees from the Taliban that they will distance themselves from al-Qaida operatives, including Ayman al Zawahiri, who live among them or at the very least have safe passage and havens within territory they control. Zawahiri, an Egyptian, took over the leadership of al-Qaida following the 2011 killing of Osama bin Laden in Abbottabad, Pakistan by U.S. Navy SEALS. There are also believed to be a number of Arabic-speaking jihadis associated with the Haqqani network, considered the most lethal of the Taliban fighters in Afghanistan. It wasn't clear how the U.S. could verify Taliban promises to ensure Afghan territory is not again a staging arena for attacks outside its borders. There was also no indication that the Taliban would agree to a cease-fire, which Khalilzad has been seeking, or when the Taliban would hold direct talks with the Afghan government, something they have continued to reject. The Haqqanis did send three representatives to a meeting with Khalilzad in the United Arab Emirates last month, an indication that they are in sync with the Taliban leadership conducting the negotiations. 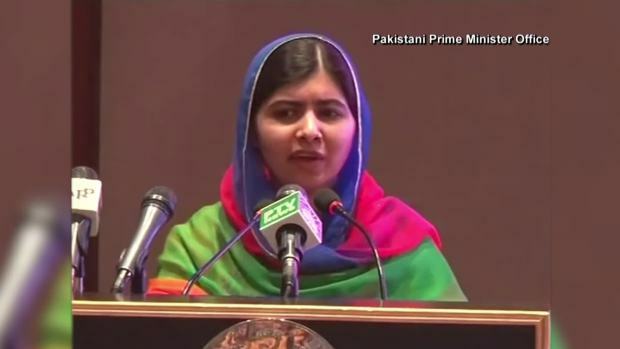 Nobel Peace Prize winner and activist Malala Yousafzai returned to her native Pakistan for the first time since she was first shot in the head by Taliban gunmen for her advocacy work with educating girls. In a brief, tearful speech from Islamabad, Yousafzai said "I still can't believe that this is actually happening, that it's true. I have dreamt of coming back to my country for the past five years. Whenever I travel by plane, by car, I see the cities of London, New York. I was told "imagine you are in Pakistan," "you are traveling in Islamabad," "you are in Karachi." It was never true. But now I am in Pakistan. I am very happy." It wasn't immediately clear if any were in attendance this past week in Qatar. The Taliban negotiating team that met this week in Qatar with Khalilzad were all senior members of the movement. They included Salam Hanafi, Muhammad Hanif and Mohammad Zahid Ahmadzai __ all members of the Taliban leadership council __ Suhail Shaheen, spokesman for the Taliban's Qatar office, Shahabuddin Dilawar, Muhammad Fazl and Khairullah Khairkhwah. Both Fazl and Khairkhwah were among five Taliban freed from the U.S. prison at Guantanamo Bay in 2014 in exchange for U.S. Sgt. Bowe Bergdahl who had been captured by the Taliban in 2009 after he wandered off his base. These negotiations are the most significant held to date. Taliban spokesman Zabihullah Mujahid in a statement Saturday said the Taliban are steadfast in their demand that no substantive progress is possible without a troop withdrawal. But he did acknowledge progress. "This round of negotiations revolving around the withdrawal of foreign troops from Afghanistan and other vital issues saw progress; but since issues are of critical nature and need comprehensive discussions therefore it was decided that talks about unsolved matters will resume in similar future meetings," he said. Last week, the Taliban threatened to walk away from talks, accusing Washington of seeking to "expand the agenda" — presumably a reference to U.S. demands that the insurgents hold direct talks with Kabul. 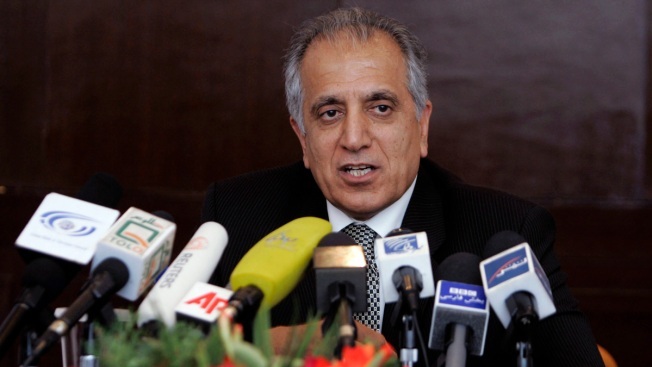 Khalilzad has said that any peace talks must include the Afghan government and a comprehensive cease-fire. Khalilzad has met with the Taliban on a number of occasions in recent months in the latest bid to end America's longest war. The U.S. invaded Afghanistan after the Sept. 11, 2001 attacks to topple the Taliban, who were harboring Osama bin Laden and al-Qaida. The Taliban have staged a comeback in recent years and today hold sway over nearly half the country. Associated Press writer Matthew Lee contributed.